There are approximately 18 species of bat in Britain (17 species are known to breed). 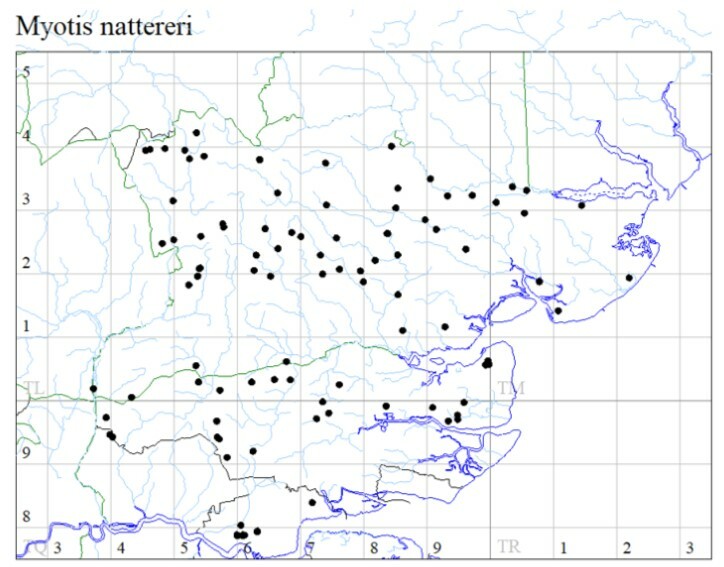 Ten are regularly found in Essex. 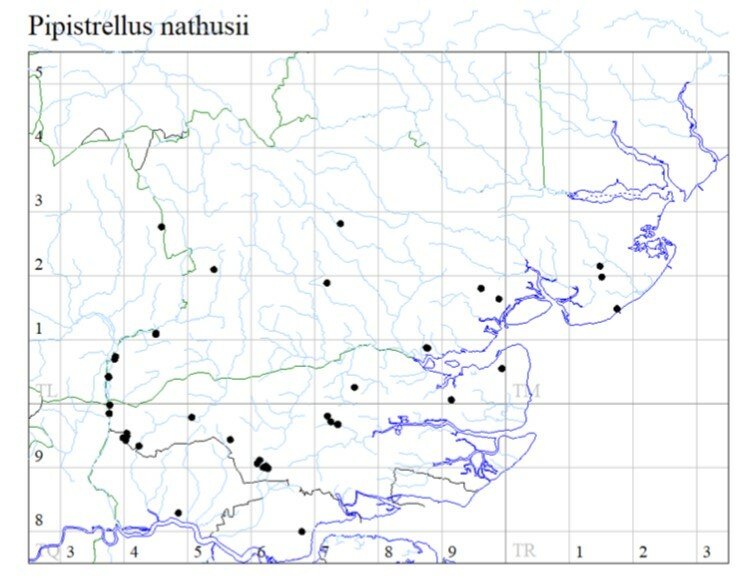 Another two species (Whiskered and Parti-coloured) have been recorded, but only once. Others may be present although there is no conclusive evidence. 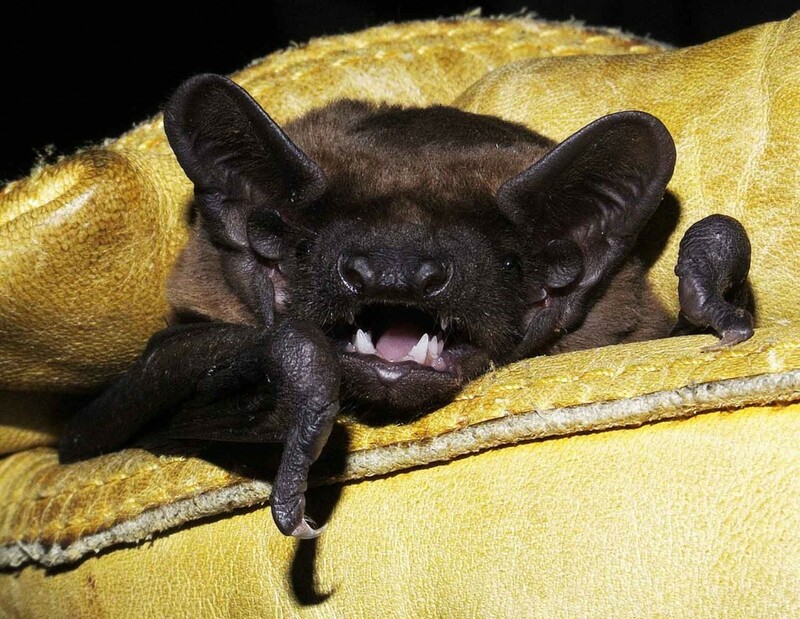 This uncertainty demonstrates how little we know about our native bat populations. 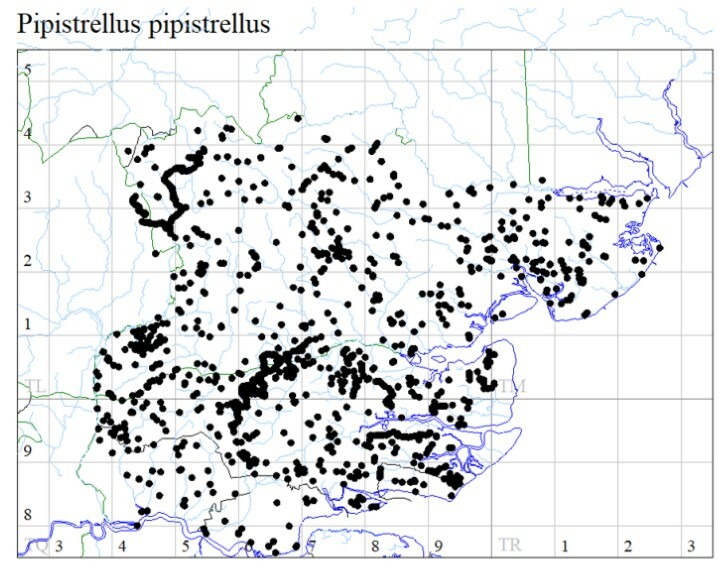 The Common and Soprano Pipistrelles are the most widespread accounting for almost all sightings. They are the bats you are most likely see flying around your garden shortly after sunset. 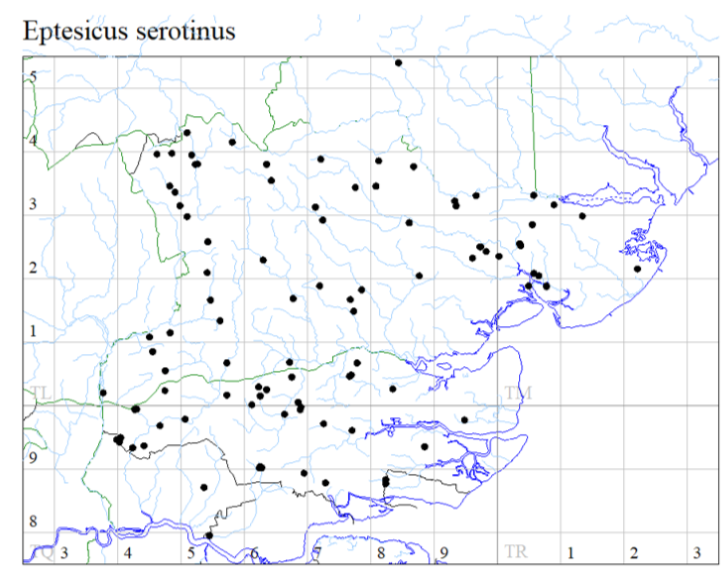 More information on each species of British Bat can be found at the Bat Conservation Trust. Common pipistrelle – Widespread, occasionally common. One of the two species most likely to be encountered and regularly seen at dusk around gardens. Roosts in buildings, but rarely encountered as it prefers to shelter under roof tiles and in the soffit box or wall cavities. Soprano pipistrelle – Widespread, occasionally common. One of the two species most likely to be encountered and regularly seen at dusk around gardens. Habits are similar to Common pipistrelle. Nathusius’ pipistrelle – A migratory species that may breed in small numbers , but we have yet to find maternity roosts within the county. Considered to be rare but possibly over-looked. Subject of an EBG project to better understands its distribution. 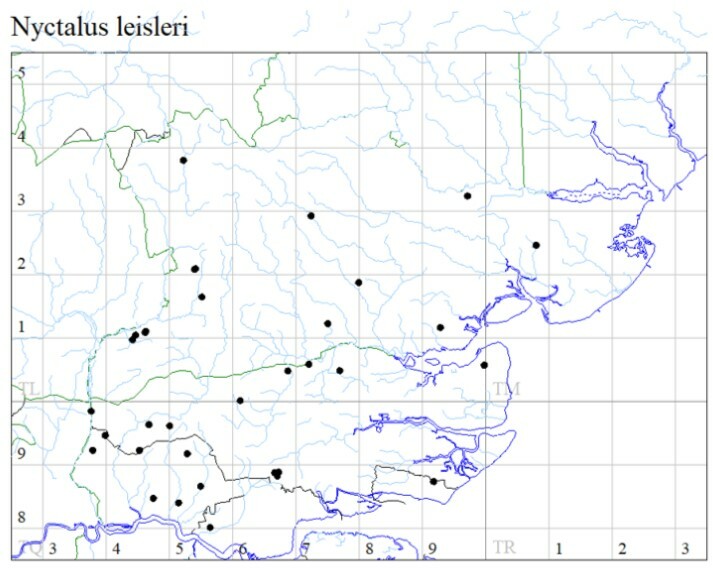 Usually recorded foraging over large water bodies. Brown long-eared – Widespread, relatively frequent, but not often encountered outside of roosts. This shy unobtrusive bat is rarely encountered during surveys, but is sometimes found in older buildings with infrequently visited loft spaces. 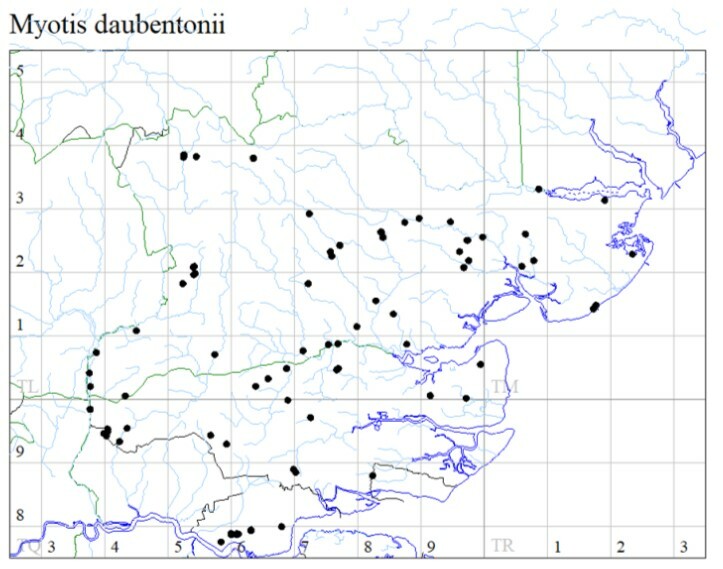 Daubenton’s – Widespread, relatively frequent near still water. Also known as the Water bat, it is often seen by anglers hunting low over the water on dark nights. Roosts in trees and riparian structures. Natterer’s – Widespread, relatively scarce. A woodland species that is most often encountered in churches and old barns. Whiskered – One record and assumed to be very rare in the County, if present at all. 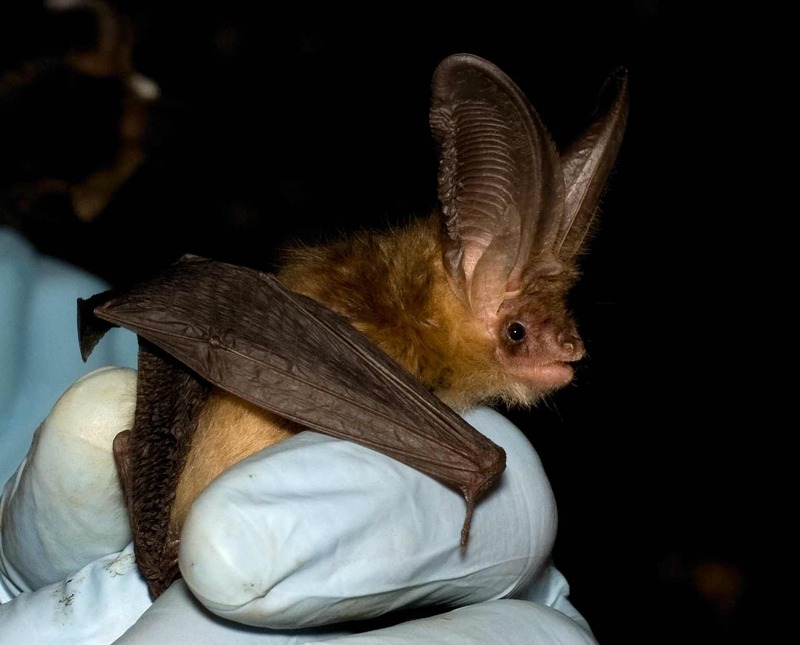 Parti-coloured bat – A vagrant migratory species from Northern Europe with just two records. Serotine – Widespread, but scarce. Thought to have declined greatly in the last thirty years. Flies shortly after dusk and may be encountered around grazing animals. Leisler’s – Widespread, but scarce and possibly declining. 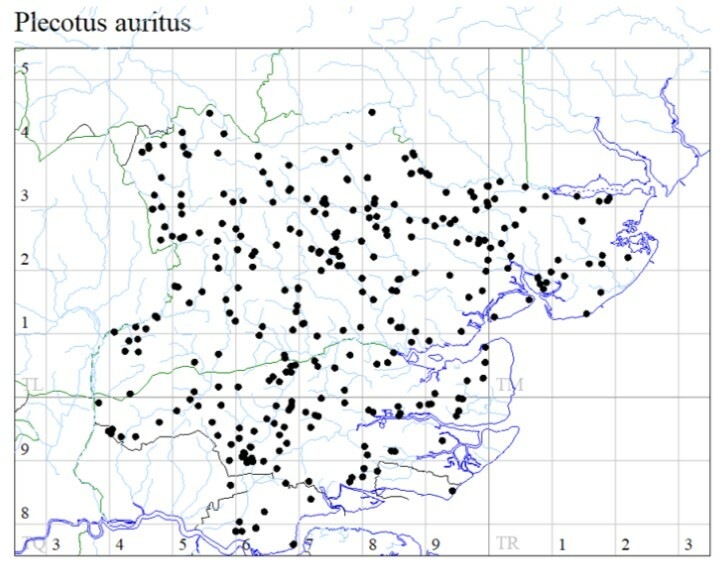 Little is known about its roosting preference in Essex. 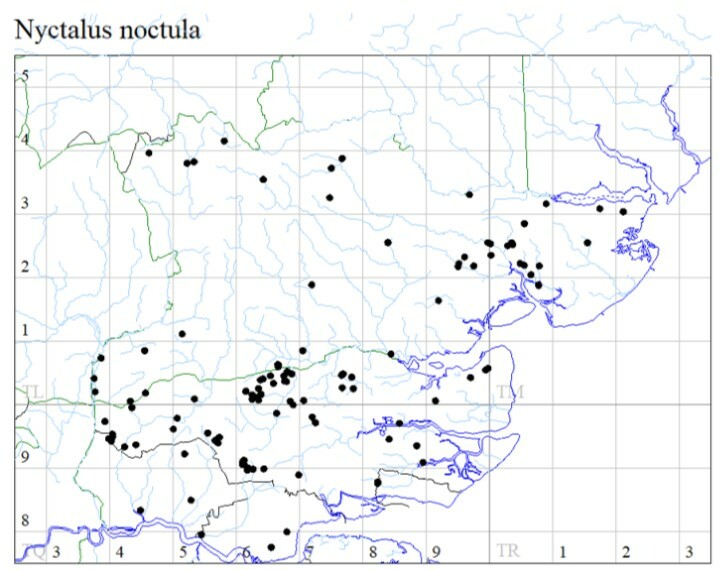 Noctule – Widespread, but relatively scarce. Our largest bat sometimes seen on summer evenings flying high with swifts. Roosts in woodlands. 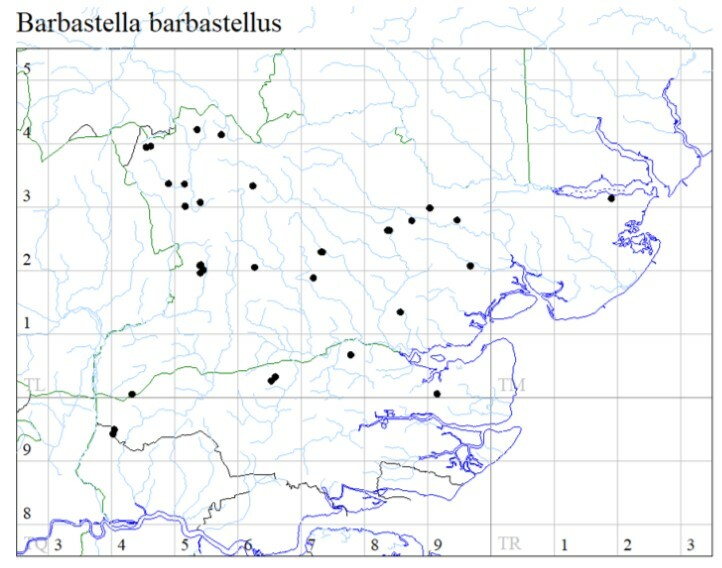 Barbastelle – Possibly more widespread than appreciated, but a scarce woodland bat. Roosts under peeling bark mainly on oak trees. Subject of recent local surveys.